Here are Wright State’s admission requirements for undergraduate international students. They include requirements for both academic progress and English proficiency. To obtain a student visa to the United States, the applicant must first be able to demonstrate that he or she is a bona fide student qualified to pursue a full course of study. View a full explanation of student visa requirements. Wright State’s University Center for International Education (UCIE) is a terrific resource for both prospective and newly admitted international students. For general information about admissions, visas, and other necessary steps for international students, go to the UCIE website. If you have already been admitted to Wright State, find out about online orientation sessions. 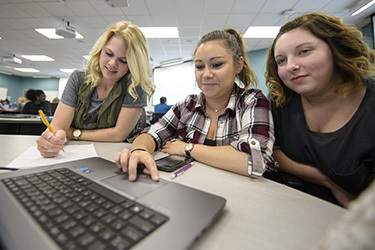 International graduate students who wish to enter Wright State’s Master of Science programs in nursing must provide proof of proficiency in English in addition to other requirements. Please consult the webpage of the concentration you are interested in for details.